Cameroon will, from August 31, begin strict control of the quality of all goods, including imported primary products. The Government will launch the quality control at the Douala Port, which currently handles 95 percent of the import and export trade of Cameroon. In this vein, the Chamber of Commerce, Mines, Industry and Crafts, in collaboration with the Standard and Quality Agency, ANOR, organised two workshops in Douala on August 23 and 25. The workshops were aimed at sensitising businesspersons on the start of the campaign to ensure that all goods imported into Cameroon are in conformity with international standards. The campaign will be carried out under a programme known as Programme d’Evaluation de la Conformité avant Embarquement des Marchandises importees en République du Cameroun, PECAE. ANOR General Manager, Charles Booto a Ngon, said even though many economic operators are aware of Government’s insistence on the respect of norms, it is no secret that some imported goods and some domestic products still fail to respect international norms. Booto a Ngon said Government instituted PECAE with the objective of protecting the health and security of consumers, as well as to preserve the environment and protect the local industry against using poor quality primary products. He said it was in line with this idea that the Minister of Mines, Industry and Technological Development signed an arête No. 009938/MINMIDT on December 17, 2015, on the creation, organisation and functioning of the Committee for the Follow-up/Evaluation of PECAE. Then in April 21, 2016, the Minister was in Douala representing the Prime Minister to officially launch PECAE. The two ministries directly involved with the execution of PECAE are the Ministries of Commerce and Finance. They will execute the programme through Customs and ANOR. 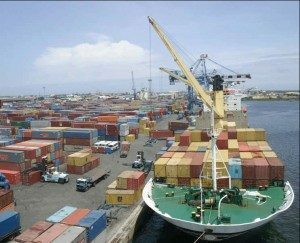 The Government has also contracted two private enterprises, ‘Societé Générale de Suiveillance’, SGS, and INTERTEK, to carry out the technical control of imported goods and primary products at the Douala Port. According to ANOR General Manager, all importers will henceforth ensure that their suppliers obtain documents (Certificates of Conformity) from competent institutions, to testify that their products respect international standards. Booto a Ngon warned that importers who will, in complicity with their suppliers, try to fake documents, will end up in trouble because PECAE will cross-check with competent institutions in the countries where the goods originate. Asked if the creation of PECAE has anything to do with the Economic Partnership Agreement, EPA, which the Government signed with the European Union, and which went into force on August 4, Booto a Ngon said PECAE will be concerned with goods imported from all countries across the world. This will include EU member states. He said it is true that Government is also concerned that some companies in the EU may try to negatively exploit EPA to dump poor quality goods in Cameroon. He said PECAE will take care of that. Speaking at the opening ceremony of the August 23 workshop, the President of the Chamber of Commerce, Industry, Mines and Craft, Christophe Eken, saluted Government’s decision to institute PECAE. He said besides controlling the quality of imported goods and primary products, PECAE will help local industries to meet up with international norms. He added that PECAE will as well help to fight against smuggling and counterfeit products.